UNIVERSITY PARK — Vlad Hilling didn’t win the place-kicking job during his first preseason camp at Penn State, but the true freshman from Hollidaysburg Area High School made the competition interesting. He also made quite an impression on coach James Franklin and his teammates. That strong leg will give Hilling a chance to keep competing for the starting place-kicking job throughout his career at Penn State. He lost out to freshman Jake Pinegar in the competition during camp, but Hilling enters the season as the Nittany Lions’ second-stringer. “He has got to get more refined on his process,” Franklin said. “He kind of is like a home run hitter: He puts a big wad of bubble gum in his mouth and walks up to the plate and kind of taps the plate a few times and then just cranks away, and that’s just kind of how he is as a kicker. Hilling made 20-of-27 field-goal attempts at Hollidaysburg, and he set a Big 33 Football Classic record when he booted a 56-yarder in June. Penn State announced Thursday it will play a home-and-home series against Temple in 2026-27. The Lions will visit Temple on Sept. 12, 2026, and the Owls will play at Beaver Stadium on Sept. 18, 20027. That news in and of itself wasn’t so big Thursday, but the reaction to it out of Pittsburgh was substantial. Pitt fans and several members of the Pittsburgh media were critical of Penn State for scheduling another in-state opponent instead of finding a way to play more games against the Panthers. Penn State and Pitt will play for a third straight year next week, then meet again next season, but that will end the four-year series renewal for now. Pitt’s administration has expressed a desire to continue to play Penn State, but with the way the Lions’ non-conference schedules are set up over the next decade, it could be many years before the rivalry is resumed once again. 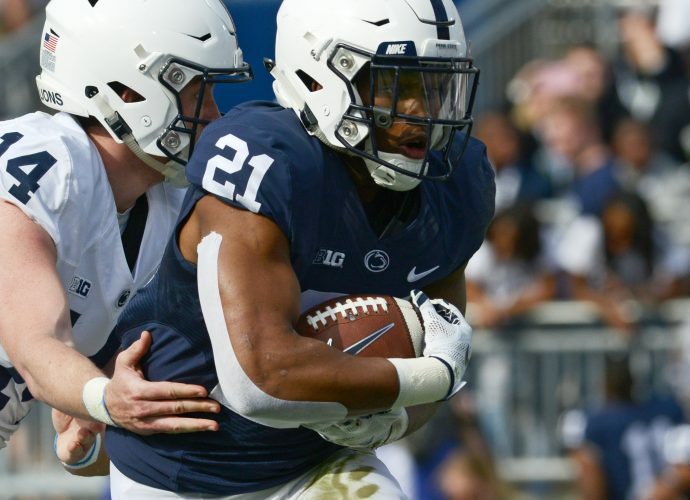 Also Thursday, PSU announced it will host Villanova on Sept. 25, 2021, Central Michigan on Sept. 24, 2022 and Delaware on Sept. 9, 2023 in non-conference games.